Want to try the Blood Type Diet but don’t know where to start? I recommend dietary changes, including the Blood Type Diet, often, but I’ve never shared the specifics of how I made this transition in my own life! I was actually interviewed about “how blood type changes my life” for DNTO on CBC Radio last fall – listen to my story here and then check out my simple and easy secrets of how to start the Blood Type Diet. 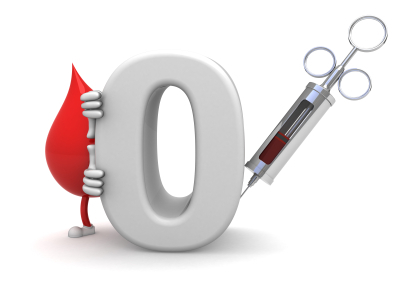 I had recently found out my blood type (O+) and was driving to my summer job when I first heard of the Blood Type Diet on the radio. 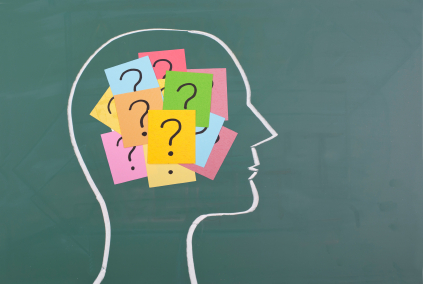 I so distinctly remember what made me pay attention: a woman called in to share how she was blood type O and beef as a beneficial food really hit home for her. As soon as I heard this, I felt the same way! I had always known I was a meat-eater, but had tried (unsuccessfully) to suppress this natural tendency because I thought only vegetarians could be healthy! At work I immediately looked up Dr. D’Adamo’s website and started reading the food lists. As soon as I saw that wheat was an avoid for me I thought “this is crazy, I can’t live without bread” and abandoned my research. But the seed was planted, so over that summer I implemented some milder type O strategies in my life, like Nutella instead of peanut butter, soy milk instead of cow’s milk, etc. All while purposely ignored the prohibition on wheat! Not exactly the way to start the Blood Type Diet successfully, but a starting place nonetheless. The next year, while in Mexico on academic exchange, I finally got tired of feeling unhealthy. I felt bloated and overfull a lot of the time. In the morning after breakfast, I would quickly feel starving again, and grab a sugary snack to feel better, only to feel worse again a few hours later. I felt sluggish, moody, and heavy much of the time and I knew this wasn’t right. I decided to return to the Blood Type Diet more seriously this time. Living in Mexico, I was more limited in my food choices, so I focused on the most important things – I significantly reduced wheat and dairy, as well as increase my intake of beneficial foods, like beef, red peppers, and other fruits and vegetables. I managed to find rice cakes, soy flour, soy milk, and lots of good fruits and veg at the local Wal-Mart. Even these small changes made me feel better – nearly instantly I felt less bloated and tired. I soon found that my blood sugar was more stable – less big crashes after breakfast and cravings for sugar. Fast forward to Christmas of that year… Once I returned from Mexico, I really put the Blood Type Diet to work by making several more changes to my diet and I had seen even more benefits – increased energy, less PMS, feeling lighter, better digestion, etc. I was all abuzz about this new way of eating when I went home for Christmas break for 3 weeks. My dad (blood type O-) being the good sport he always is (hi Dad! ), agreed to allow me to choose 5 items from his regular diet and replace them with whatever I chose for the time I was home. I believe this was in exchange for me cleaning the windows for him (bet you didn’t know that I once ran a window cleaning business). After 3 weeks, my dad was a convert too! I didn’t realize it at the time, but I had hit on a useful strategy for successfully changing habits – substitution. Most people want to completely revamp their lives while the motivation runs high! While this is great, the motivation or will power or whatever you want to call it will dwindle at some point and when this happens, if you don’t have a few core habits working for you, you will fall off the wagon in dramatic fashion. So, start with a few key changes and work on embracing those before adding on. The 80/20 rule or Pareto principle states that 80% of the effect is due to 20% of the causes. For our purposes, this means that rather than focus on all the little things you want to change, choose the things that will be most impactful but take the least effort. In the case of diet change, pick a few foods that you eat often or that cause you the most problems – these are the most worth your while to eliminate and will result in the greatest gains. 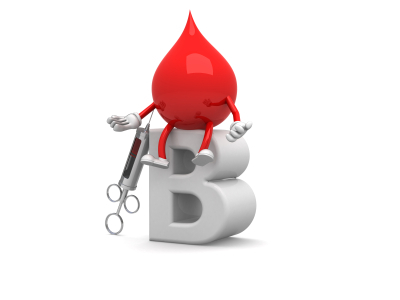 Continue reading to see my recommendations for each blood type. One of the best pieces of advice from Dr. Phil that sticks in my head is that you can’t just stop a bad habit, you need to replace it with something. I can tell you from my own experience and my observations with patients that this is so true! When you are trying to stop eating something in particular, you need to first replace that food with something better for you (or at least less bad!). 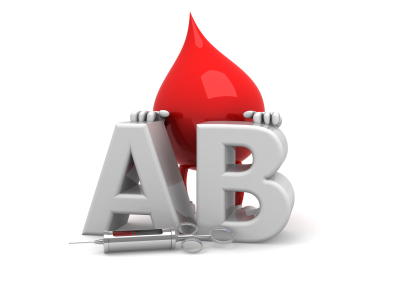 Continue reading to see some substitution suggestions for each blood type. We all know the story of the tortoise and the hare – the tortoise wins the race by being slow and steady while the hare is overly cocky burns himself out too early. This is a key life lesson, which is why this story persists. Consistency over time is much more effective in reaching your goals! Choose changes you can maintain over time and make the commitment to continue with those changes in the long-term, picking them back up when you falter. Shop the perimeter of the grocery store, emphasizing fresh, quality ingredients and using the centre of the store for accents (eg: sauces, oils, seasonings). Choose the right organics – check out the Environmental Working Group Shopper’s Guide to Pesticides in Produce to help you choose what is worth buying organic. Ensure you have 1 serving of fruit and 1 serving of vegetables (1 serving = 1 medium piece or 1 cup) at EVERY MEAL (including breakfast!). Veggies at breakfast can be integrated into a smoothie (you’ll never know they are there if you blend well) via greens powder, or leafy greens. You can also make an omelette with veggies or do what I do, which is eat a handful of steam broccoli or a kale salad. Eat Right for Your Type, the original book on the Blood Type Diet, provides some great lists of what I like to call “red flag foods” for each blood type, or foods that encourage weight gain the most. Based on these lists as well as the recommendations by food group, here is a guide to the most important changes to start with for each type. Replace wheat with gluten-free (eg: rice, sorghum, quinoa, wheat-free oats) or sprouted wheat (eg: Ezekiel) options. Make sure to carefully read ingredients on your bread, cereal, and pasta and look for wheat, flour, and other synonyms, such as semolina. Replace milk products with alternatives made with rice or almond (eg: almond yogurt, rice or almond milk). There are many great options for milks, cheeses, and yogurts out there! Replace potatoes with leafy green veggies, such as kale, spinach, broccoli, swiss chard, etc. Ensure you have at least a small serving of protein at every meal, such as an egg at breakfast, and beef, lamb, chicken, turkey, or fish at lunch and dinner. Replace red meat (pork, beef) with other animal proteins such as chicken, turkey, and fish, or vegetable proteins such as soy, lentils, nuts, and seeds. Replace milk products with alternatives made with soy, rice, or almond (eg: almond yogurt, soy milk, soy cheese). There are many great options for milks, cheeses, and yogurts out there! Replace tomatoes and peppers with other vegetables, such as broccoli, carrots, onions, and spinach. Replace tomato sauces with yummy alternatives such as olive oil with herbs and spices or soy sauce. Start your day with a high-fibre, vegetarian breakfast of a beneficial fruit smoothie and a bowl of steel-cut oats. Replace corn products with alternatives, such as non-corn, gluten-free crackers (eg: rice, quinoa, flax). Replace chicken with turkey and other animal proteins, such as lamb. Add at one daily dose of cultured dairy products, such as yogurt and kefir, either from cow or goat sources. Replace red meat (pork, beef) and chicken with other animal proteins such as turkey or seafood, or vegetable proteins such as soy, lentils, nuts, and seeds. Explore and embrace great foods from the sea such as fish, seafood, and sea vegetables (eg: kelp, spirulina, dulse). Remember, start small, substitute, and be consistent – you can feel better and reach your goals! Excellent. Exactly the method I follow and recommend. Well said! Thanks Gillian, glad to hear you’ve found a great strategy for diet change! Hi, I’m into blood type diet too :). Reading articles like this gives me positive support to continue with blood type. Appreciate it very much. Thanks Michelle, keep it up! Hey out there I also have read the eat right 4blood type For food allergies,and must say that recently have had a saliva testing and found that there are secretors and non-secretors !!! Which are you?? This changes a lot of food that are beneficial to your blood type!! Check it out!!! Hi Linda, I am a non-secretor! Secretor status can make major changes to recommended foods and is helpful to know as non-secretors have different health risks and needs. For more about secretor status, check out my blog What is the Blood Type Diet, part 2 here: http://www.wavelengthwellness.com/what-is-the-blood-type-diet-part-2/.